Classic in style and design, this matelassé quilt and accessories by C&F have beautiful workmanship with intricate stitching in a rich indigo navy blue. Matelassé is a French term for a "quilted ornamented fabric". 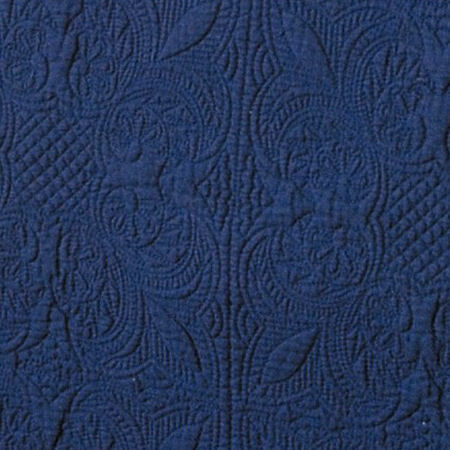 100% super-soft cotton quilt in a indigo navy color. Note: Some images show a ticking stripe on the reverse. This quilt is a solid navy on both sides. This item is a Quilt (not a coverlet) and will not hang to the floor as shown in the image above, but will hang about midway down the side of the bed, depending on mattress height.